Brig. 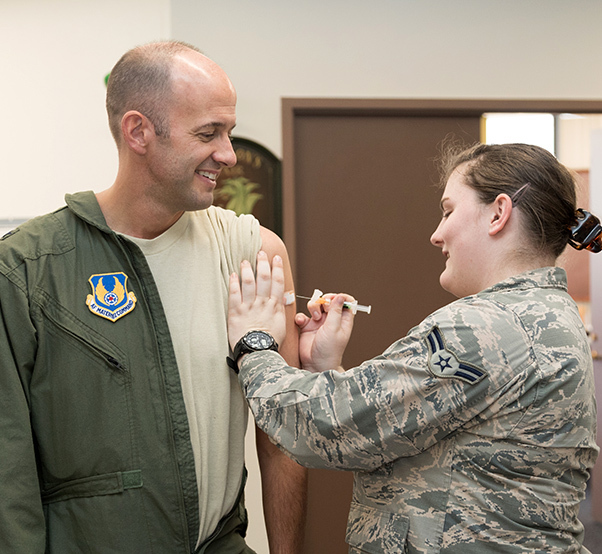 Gen. E. John Teichert, 412th Test Wing commander, receives his annual flu vaccination from Airman 1st Class Jessica Davidson, 412th Medical Operations Squadron, outside his office Sept. 26, 2018. Flu season has begun. Are you ready? 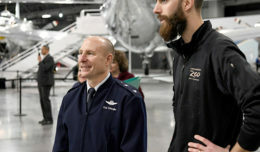 The 412th Medical Group at Edwards Air Force Base, Calif., will hold a flu shot drive Oct. 4 and 5 for all military members — active duty, Guard and Reserve, in Hangar 1600. 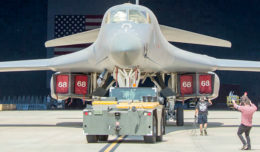 Military members can simply come by from noon to 4 p.m. on Oct. 4 and from 8 a.m. to noon Oct. 5. Get your flu shot, so the flu doesn’t get you. #FightFlu For more information, contact 2nd Lt. Kyle Gutherie at 661-275-2832.